@hifichampion: thx for comment HiFi Champion! @billy-hi-fi: bless up Bily Hi Fi!! @west-africa-sound-powa: thanks for comment !!! @praggatronik-army: Yeah, Big Up to Syncro! Buy YRC001 - Peppery aka Bongo Chilli - It nah go work (2WINGS RIDDIM) Produced by Syncro-OUT NOW! Users who like YRC001 - Peppery aka Bongo Chilli - It nah go work (2WINGS RIDDIM) Produced by Syncro-OUT NOW! Users who reposted YRC001 - Peppery aka Bongo Chilli - It nah go work (2WINGS RIDDIM) Produced by Syncro-OUT NOW! 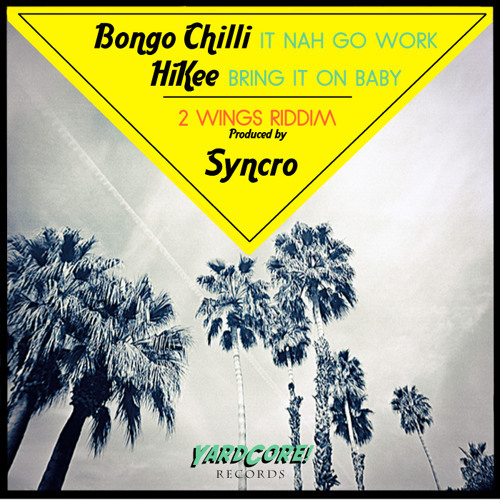 Playlists containing YRC001 - Peppery aka Bongo Chilli - It nah go work (2WINGS RIDDIM) Produced by Syncro-OUT NOW! More tracks like YRC001 - Peppery aka Bongo Chilli - It nah go work (2WINGS RIDDIM) Produced by Syncro-OUT NOW!